As Mint Street readies for a new sheriff, the three-year tenure marked with numerous controversies ended today for Raghuram Rajan—who sacrificed economics for electrical engineering in college and ended up doing a ‘deep surgery’ of banks while at RBI. He rocked too many boats while heading the Reserve Bank of India—earning ‘ad hominem’ attacks and also open criticism by those wanting him to be faster with rate cuts and much slower on cleaning the balance sheets of banks. But those showering him with bouquets were numerous too, giving him titles like ‘Rockstar Rajan’ and ‘Bond of Mint Street’, which he himself appeared to acknowledge by once remarking—“My name is Rajan and I do what I do”—a clear play on the introductory dialogue of the famous British spy character James Bond. The most vocal critics of Raghuram Govind Rajan— incidentally a name having names of multiple gods—came from right-wing ideologues, including for his analogy that India’s fastest-growing economy tag was like ‘one-eyed being king among the blind’, which has been seen by many as the prime reason for his tenure getting cut short at three years—the lowest for any RBI Governor in a long time. Outspoken as he has been with his views, 53-year-old Rajan went on to make public that he was willing to stay longer but an “agreement” could not be reached with the government in this regard. Rajan, who is credited with predicting the global economic crisis of 2008 and has decided to return to academia, said he would be back with his public speeches in India after a break, while making a strong pitch for retaining RBI’s autonomy and allowing it to say “no” to the government whenever required. While he is expected to resume his job as Professor of Finance at Chicago University, from where he has been on leave, those in the know say that he may also take up some other assignments in due course, including in academics. Earlier, he also served as Chief Economist at IMF. The three years at the Reserve Bank have mostly been a string of success stories for the marathoner, gaining common man’s adulation even as the free-thinker in him made a few foes who matter more in the corridors of power. One of the most salient features of his reign has been a stable rupee, which was the biggest challenge when he took over on September 4, 2013. Not only has Rajan brought the bleeding rupee back to strength, he also battered down the inflation fangs to 6 per cent from double-digit levels, leading to a cheer in fixed income markets with falling yields. He can also pat his back for embarking on the cleaning of the Augean stables that the banking sector has become by making them sort out their evergreened balancesheets. His candid outspokenness has earned him fans across the social strata, a feat only a few governors could muster. It was, however, not a uniform story and while navigating the much-abused “system”, Rajan did ruffle a few feathers, which may have prevented him from getting an extension, though he was open for one. Chief among those were nominated BJP lawmaker Subramanian Swamy, who questioned even his patriotism. 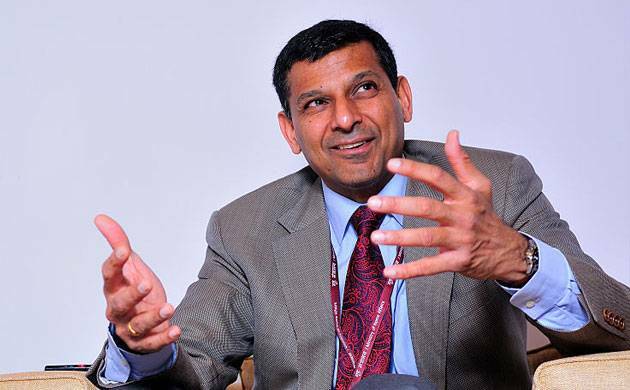 During his three years, Rajan has made classic use of public speeches to drive different concerns going beyond conventional monetary economics, cementing his position as one of the foremost public intellectuals in recent times. Such stance, however, gave rise to detractors, especially in the ruling regime, which ultimately prevailed in ensuring that he returns earlier to the “realm of ideas” at the University of Chicago’s Booth School of Business. Experts say his biggest legacy would be steering the economy out of what seemed like a never-ending crisis—with a bleeding rupee, unsustainably high CAD and precarious external position—and then creating a framework through cleaning banks’ books, market liberalisation and putting bank licensing on-tap, which will all go a long way to make a conducive environment for the next wave of growth.